Dr. Karmakar is the recipients of prestigious Australian Research Council (ARC) Discovery Project� and ARC Linkage Project grants. 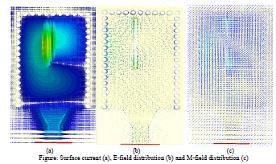 Followings are a few research projects supervised by Dr. Karmakar in recent years. Prospective students are welcome to work on these projects. 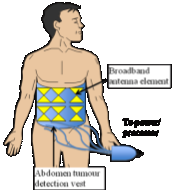 Improved antenna will be developed to improve the capacity and the coverage of wireless communications for rural and regional Australia. Phased arrays are very expensive. 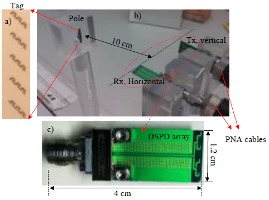 A low cost planar phased array antenna is developed for affordable mobile satellite communications for the scratch. 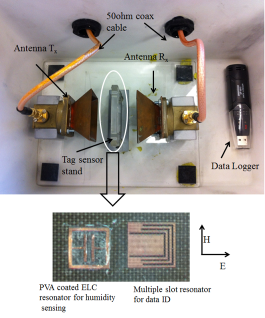 The active RFID tag reader with microprocessor, display and RF electronics is developed. 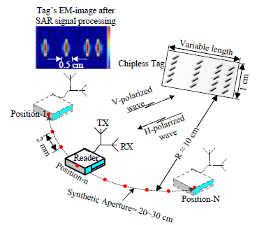 The reader is capable to cull frequency signatures from a chipless RFID tag. 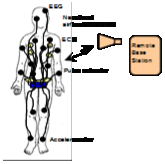 A wireless physiological monitoring apparatus connectable to a patient with sleeping disorder is developed. 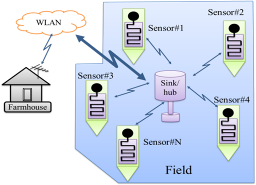 The apparatus comprises a biological transducer, transceiving antenna, modulator and a microcontroller. 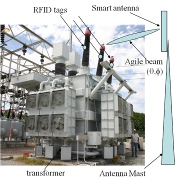 Smart antenna will be developed to detect partial discharge from faulty power apparatuses without human intervention. 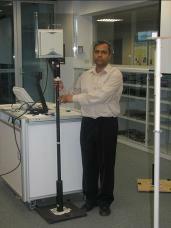 A back-scattered based chipless RFID tag and reader system comprised on multiple antennas (MIMO) capable of reading uniquely multiple book in automatic check out kiosk and bookshelves will revolutionized the library information management system. 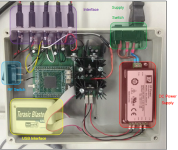 An electronically controlled orthopedic pin wirelessly controlled by a base station will remove the painful surgical process and human intervention. It will revolutionized the bone healing and growth therapy. 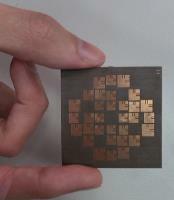 FPGA controlled phased array RFID reader antenna to improve the efficacy of reading RFID tags. 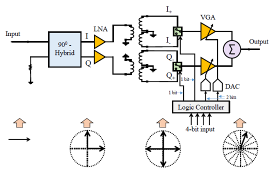 Multi-disciplinary project encompasses both physical layer and digital control designs. 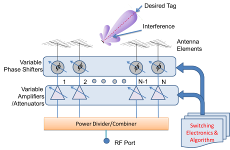 Direct Sequence Code Division Multiple Access (CDMA) cellular radio systems employing different array configurations with eigenbeamforming in multipath environments are analyzed with a uniform linear array and a circular array. 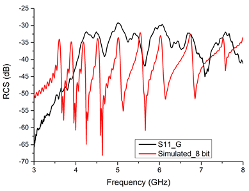 the simulation results indicate a significant increase in system capacity.